Mark your calendars for the next Food as Fuel nutrition class, on Saturday, 8/11 from 12 to 1:30 pm. Everyone bring a dish to share while Lis hosts a paleo Q&A discussion. Bring your questions and your paleo grub! Do you want to improve your running technique and race times? 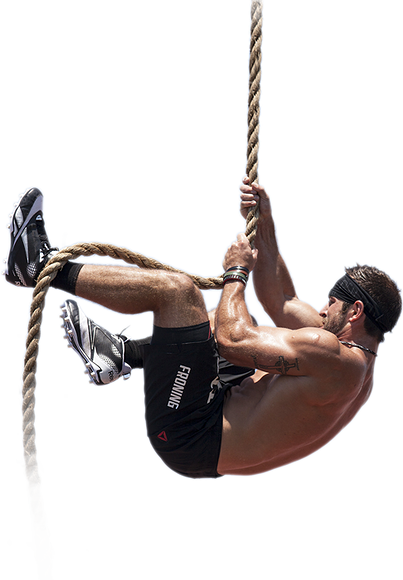 Are you clueless on how to work CrossFit Endurance workouts into your exercise routine? Or do you just hate running and wish to improve your form to make it less painful and more enjoyable? Join James Taylor, CrossFit Endurance-certified trainer and former Georgia Tech cross country and track & field athlete, for a 90-minute workshop to learn how to improve your technique, become a more efficient runner, and learn how to train for your next race. Register here or at the gym with cash or check. In one of my favorite moments from the Games, pictured above, the athletes did Fran to cap off a grueling weekend of competition. It came down to the final event to decide who got the final (3rd place) spot on the podium between Kristan Clever and Talayna Forunato. In the final set of nine pull ups, Kristan was a rep ahead, but a break in her butterfly kip gave Talayna the chance to pull ahead, finishing all her reps unbroken and claiming the title of 3rd Fittest Woman in the World. Considering how challenging a WOD we all know Fran is (especially as we train for it over the course of our Fran Challenge), watching these athletes complete it so quickly, after ALL the other work of the weekend, was pretty amazing. 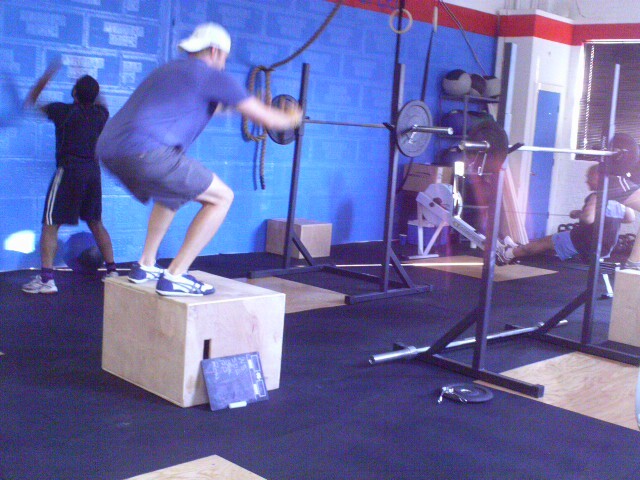 For lateral box jumps, each side equals one rep. In other words, jumping over and back is two reps.
Austin and Shira, pictured in the center, married earlier this year and just returned from their long-awaited honeymoon. Tell us about your sports & fitness background: Been a runner my whole life doing marathons and triathlons. 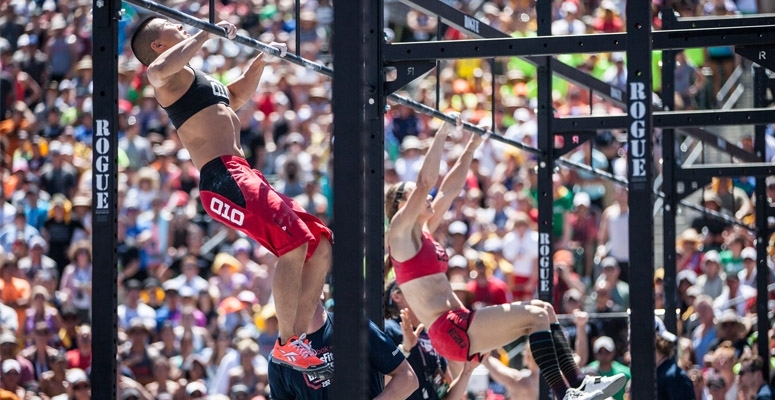 How did you first get exposed to CrossFit? Take us back to your first WOD... what was it, and how did it feel? I thought I would never have to relive this experience....I did Helen and only had to do 2 rounds of it because I could barely do a pull-up. I was so sore that I waited 2 weeks to join because I could barely move. What sort of changes have you seen in your body, health and fitness since starting CF (before/after)? Before - Manorexic from all my endurance training. Now - Being 2.5 years into crossfit and paleo I am noticing some serious gains in muscle mass and tone. I am 3 pounds away from ideal body weight and probably on 1-2% away from ideal body fat. Crossfit has made a huge impact on my life. What sort of changes in your life have you experienced out of taking on something like CrossFit that were totally unexpected? I remember when I first started there were so many movements I NEVER thought I could get such as: double unders, pull-ups, RX weight, muscle ups, etc. Now 2.5 years into it I am doing these very well and hitting record times and loads on all my workouts. Please share with us any favorite CrossFit / CFM moments: I love seeing people follow their passion and dreams so just witnessing Lis and how happy she is very inspiring. Any advice for people just getting started? STICK TO IT and the only person to compare yourself to is YOU. When I first started I would get frustrated because all these guys would dominate workouts and I could not do everything RX or had to use bands for pull-ups. I almost quit because I felt like I was not improving. Lis was a big part of me sticking to Crossfit but I am so happy I did as I feel I am in the best shape of my life and love whipping up on these 20-year olds. What are your hobbies, interests and/or talents outside of CrossFit? My life pretty much revolves around the lifestyle such as doing yoga, chiropractic, massages, finding new healthy restaurants, and hanging with the wife. What did you eat today? Deviled avocado eggs, chicken sausage, and cashews. Do you follow the paleo or primal lifestyle? What is your nutrition philosophy? Paleo. Philosophy is eat the way we ware genetically designed to eat and you are setting yourself up for success. *For atomic sit ups, demonstrated in the video below, select a bumper plate that will challenge you for a set of 10. Start laying down with the plate behind/over your head at the bottom of a sit up. As you sit up, swing the plate between your feet, using the plate for momentum to propel you on to your feet to standing position. Then press the plate overhead to full extension before returning to the floor to starting position. For everyone who wants to "lose weight," LISTEN UP. Your scale weight means NOTHING. As you get into CrossFit, your body composition will begin to change as you lose fat and gain muscle. These changes aren't always reflected on the scale, so we're bringing in the Mobile Hydrostatic Body Composition unit to give you a good measuring point. Every two to three months, we'll schedule another testing day so you can track your progress. What should I expect? This big truck will come park behind the gym. You'll enter the truck, check in with Bali, and use the changing room to change into a swimsuit. Then you'll be weighed. There's a large bathtub on-board the truck, which you will dunk yourself in three times as the computer takes a reading of your body composition. Then you'll dry off and Bali will give you a printed report and discuss your results with you. How do I sign up? Email Sam to schedule your appointment or sign up in the gym. Appointments take 10 minutes. We have availability every 10 minutes from 4pm until 7pm. The test is $30. You can pay with your CC on file, cash or check (payable to CrossFit Midtown). More info about hydrostatic body composition testing. 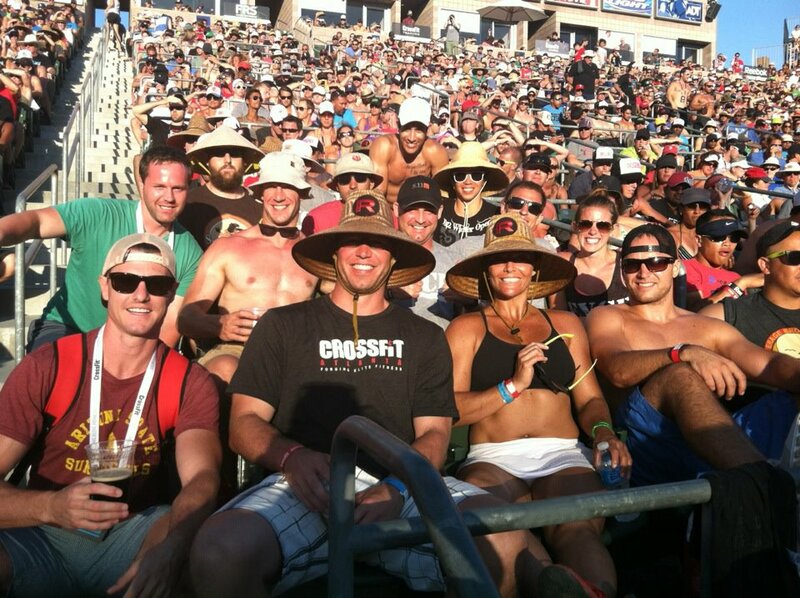 Elite spectating at the CrossFit Games with our new friends from East Valley CrossFit in Chandler, Arizona. That's Fred and Lis up front under the big hats. Carlos was also there...he's just hiding.